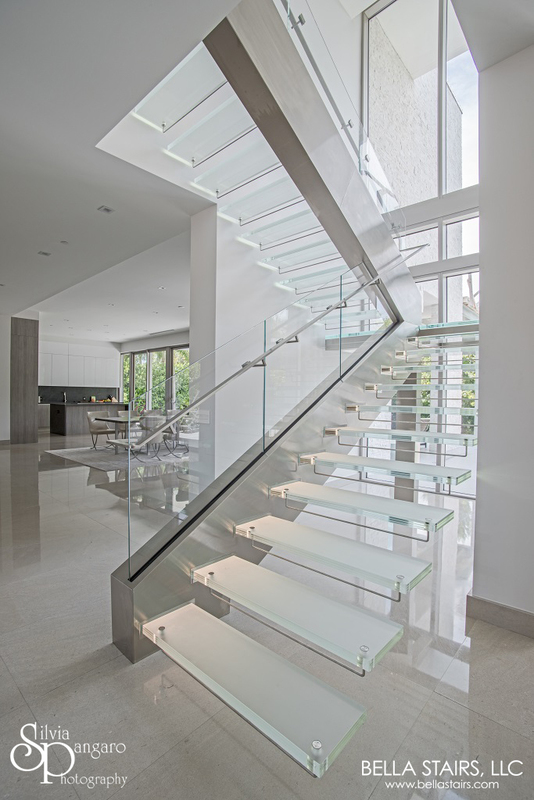 Make a powerful first impression with one of our custom floating glass staircase designs! 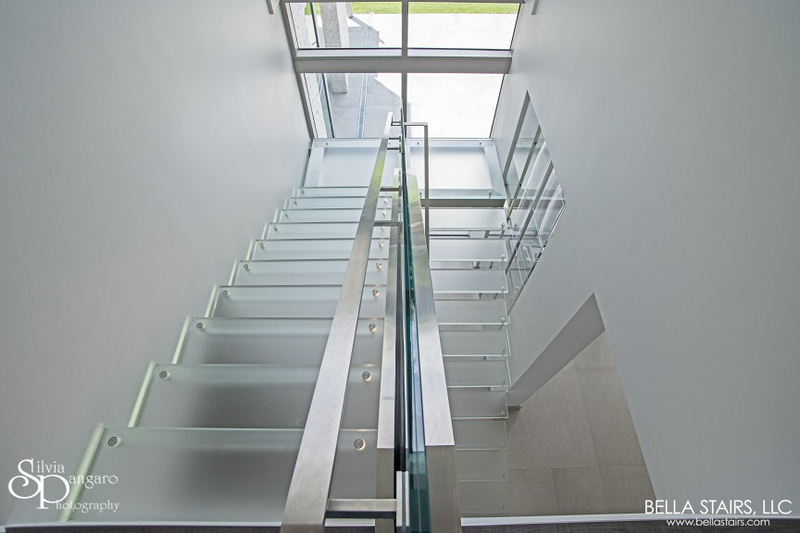 A grande entrance for this Villa located in the community of Oceana in Key Biscayne, FL. 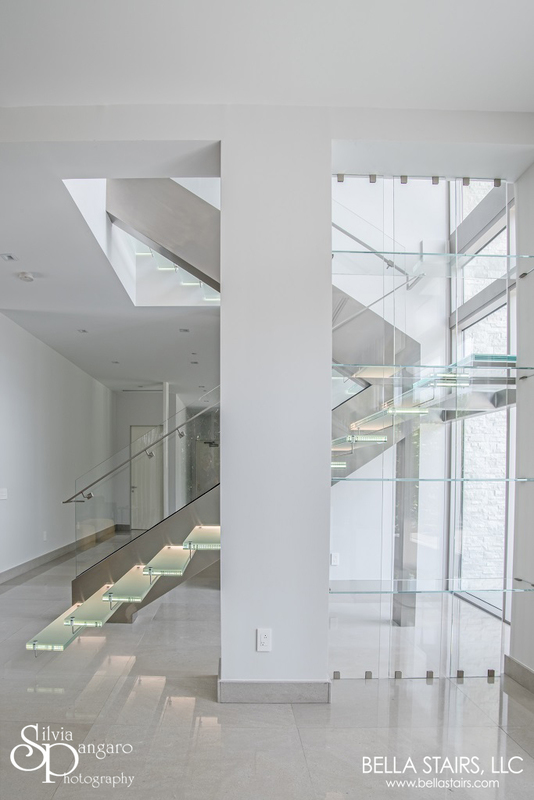 As you enter this immaculate residential home, you are met with a one of a kind floating glass staircase design surrounded by glass windows and shelves. 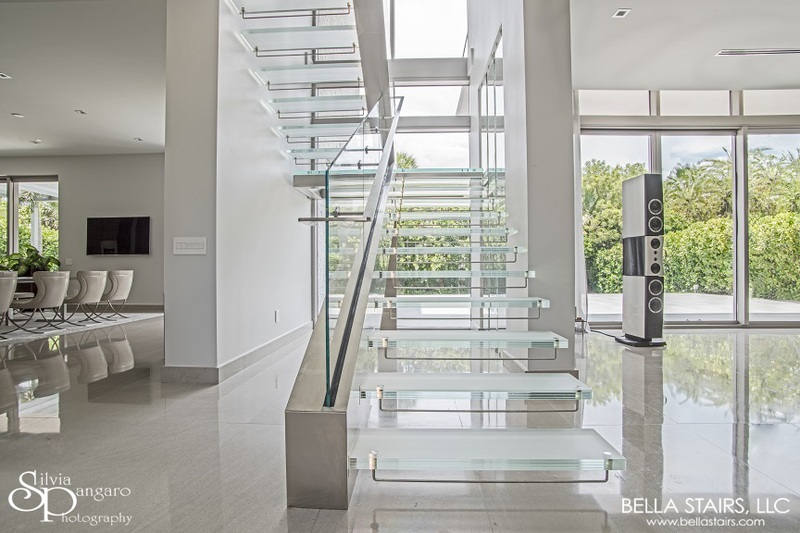 Our cantilevered design features frosted glass treads with LED lighting installed right inside of them! 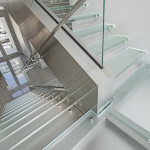 Stainless steel riser bars were installed under each frosted glass tread for added safety. 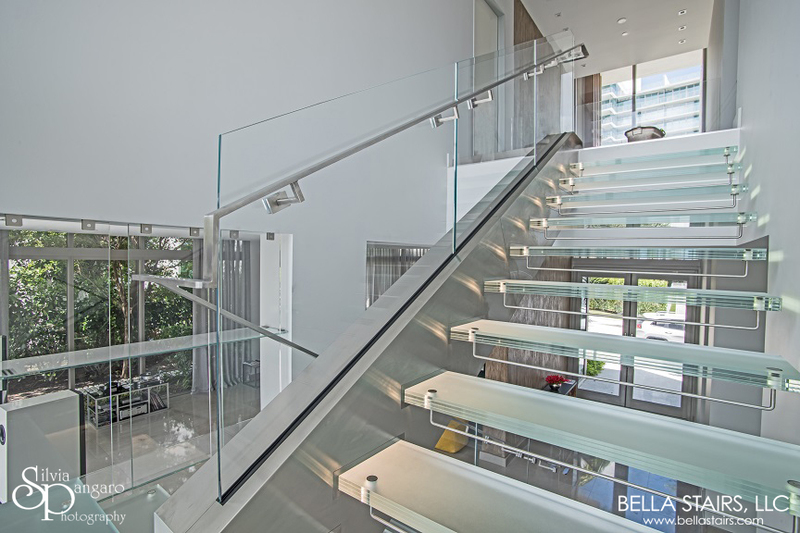 Complementing elements of brushed stainless steel surround the starphire glass railings. 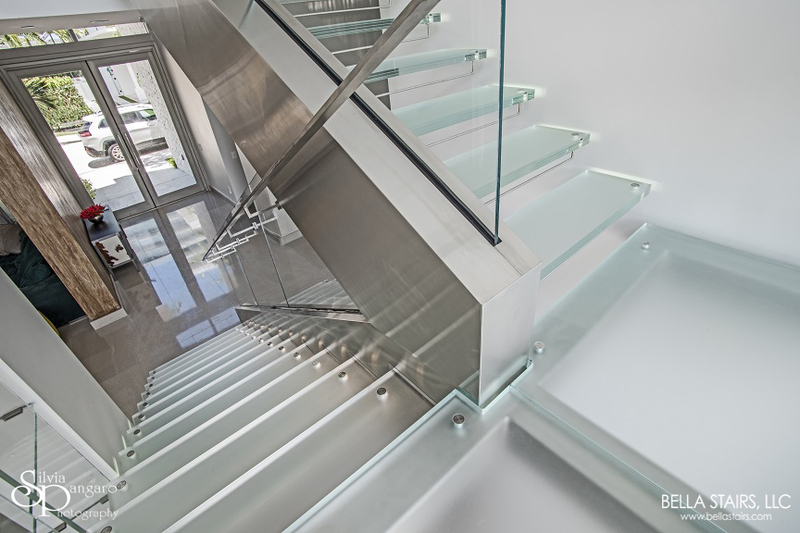 As you ascend up the illuminated glass treads, a brushed stainless steel handrail was installed directly onto the starphire glass railings. 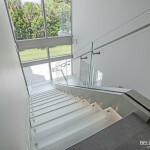 The glass railings continue up along the staircase to the second floor guardrail. 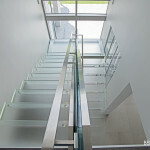 An additional glass overlook was also installed on the second floor. 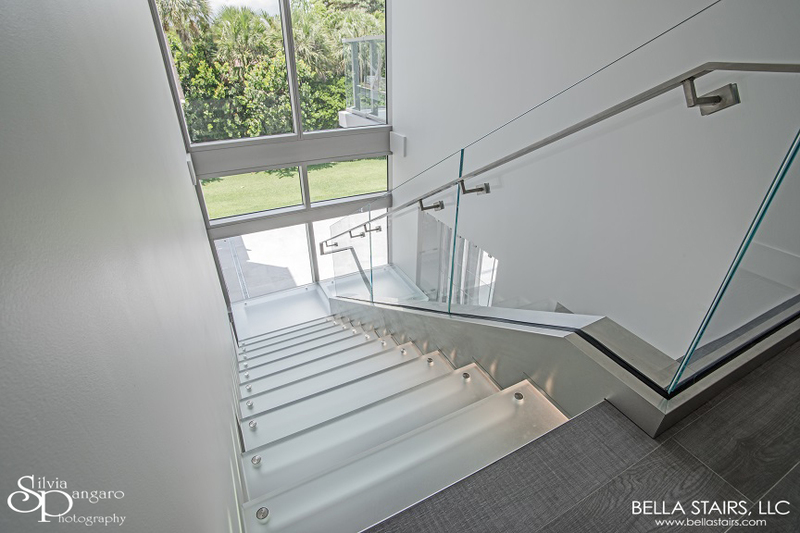 We couldn’t of achieved this alone. 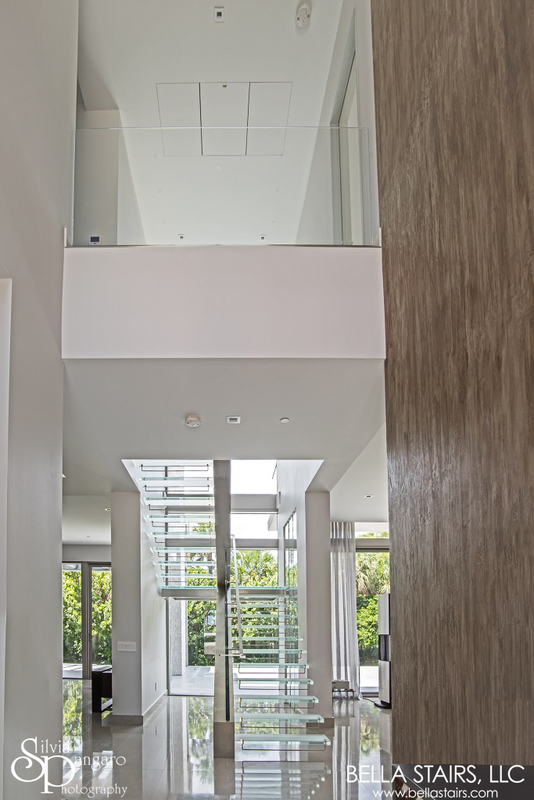 The interior was designed by our friends at Building Center No.3 Design Firm! Es improbable encontrar a gente con conocimientos sobre este tema , pero creo que sabes de lo que estás comentando. Gracias compartir un articulo como este. 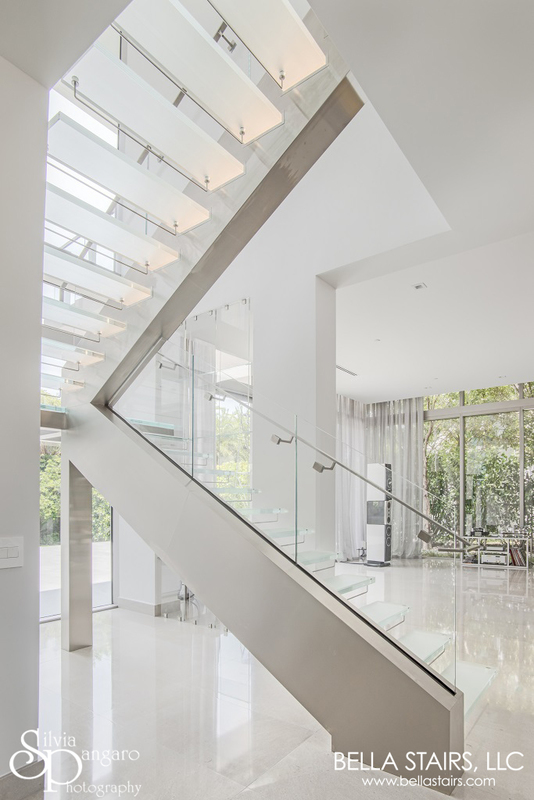 Amazing stairs. 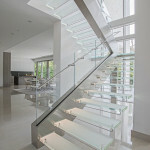 How much do we have to calculate for stairs like this ?